The basics of holding a good meeting are simple in principle but often it is very difficult to deliver a truly effective meeting in practice. A number of conflicting priorities, time pressures and conflicting personalities can often lead to a meeting being dragged off track. And contrary to popular belief, to get true value from a meeting the percentage time split between the 3 steps of the process should be 40:20:40. Also key to the success of the review is clarity of understanding of the roles and responsibilities for those attending the reviews. The meeting must follow a clearly defined agenda and terms of reference which should be periodically challenged to ensure the correct people are reviewing the correct information at an appropriate frequency, with the appropriate inputs, outputs and behaviours demonstrated. Simple stuff, but challenge yourselves…..
Against the above criteria how well would you score your meetings out of 10? Have you ever experienced any of these situations when presented with a problem to solve and been asked to produce a plan to address it? We develop a plan, and create an action list with the plan of achieving a certain outcome. What we see here are three fundamental challenges that always face us as project leaders. We are working with complex systems involving people. As a result, there is always a gap between what we would like to know and what we actually know. We are leading people who have their own pressures and agendas, both inside and outside of the workplace. As a result, their desires are never perfectly aligned with ours. We are solving complex problems in complex systems that interact dynamically with other complex systems. As a result, the actions we take never have the exact results we wished for. Project Managers put more and more controls in place and try to force the gaps closed. 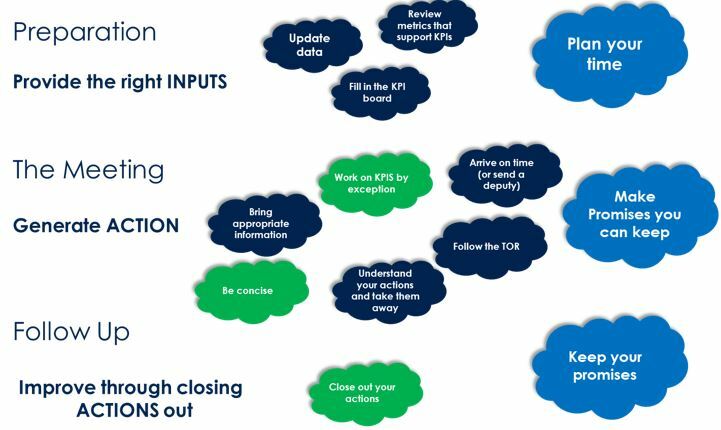 This is manifested in more review meetings, more KPI reporting, more detailed task lists and more progress reporting. PMOs have a strong tendency to create this culture. From my own experience of running a 5 year, £150m+ programme, I recall the central PMO originally wanted a detailed progress report by work stream every week. We soon aligned expectations! Project Leaders recognise the inevitability of the gaps and allow their teams to identify and bridge the gaps as soon as they become apparent. The essence of leading projects effectively is to bridge the gaps identified above. Applying recognised project management techniques such as those in the Association of Project Management Body of Knowledge will greatly assist this. However, without strong leadership, you run the risk of trying to control the uncontrollable. A manager addresses this gap through more and more detailed instructions, reducing the free will of the project team as much as possible. A leader focusses on ensuring that every member of the project team understands the overall objective of the project, its role in the programme and portfolio, and its link to the business strategy. By giving the team as much context as possible, you give them the information and the motivation to make the right decisions dynamically as challenges arise. How you communicate this is a reflection of your leadership style. I have always favoured conversations with the team in their own environment rather than arranging formal briefs – but all means of communication play a part. This is then reinforced by getting the team to brief back to you as leader how they plan to address the challenges in their areas. A manager addresses this gap through demanding ever more and more information. A leader focuses on reducing their directives to an absolute minimum and keeping the detailed planning bounds as short as possible. You develop a high level holistic plan for the whole project or programme, then restrict your detailed planning and particularly scheduling to the next milestone, or sub-milestone. My mantra has always been to give all, but only those instructions that an informed team member cannot work out for themselves. A manager addresses this gap through closer and closer control of the team. A leader focuses on ensuring that the team understand their freedom of action, and allows them to change the plan within these boundaries. Only when their changes impact over their boundary, do they need to refer decisions up to the next level of the project team. Dialogue between work streams is focused on the boundaries, and detailed plans and schedules are built at the lowest (not the highest) level of the project hierarchy. 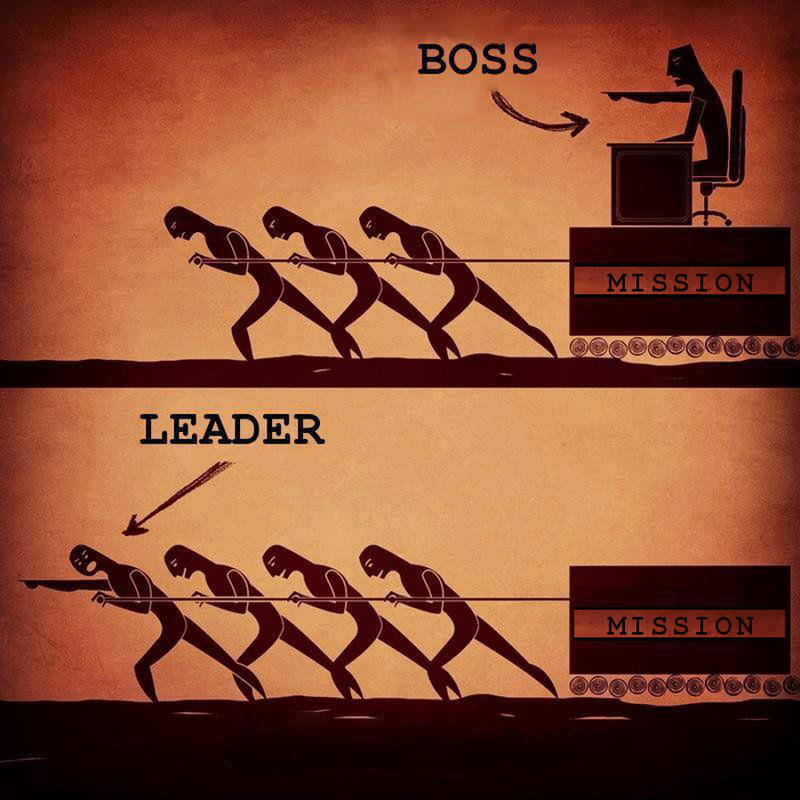 I am indebted to all of the material that has been written about this style of leadership over the years. This approach appears under a number of taglines, most often Auftragstaktik or mission command. For a more detailed understanding of the topic take a look at “The Art of Action” by Stephen Bungay, an excellent publication which traces the origins of this thinking from nineteen century German military and leads you into a modern business context. For additional information on Coriolis’s Programme Management Capability and how to use it to enhance your business please get in touch. 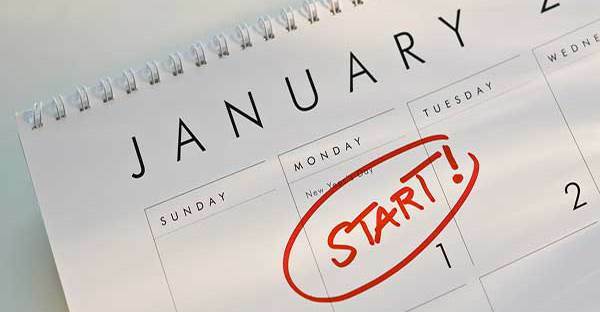 We have seen nothing but tips to shake off those extra Christmas pounds and other resolutions for planning towards your goals for the New Year since returning to work. Social sites like LinkedIn are full of posts around how to be more effective in the workplace, and passing on top tips from really successful people at the helm of some of the most influential businesses. They can sometimes sound a bit fuzzy, so it got me thinking about the things I do on a day-to-day basis which help me stay on top of things and keep a calm level head in order to be really effective at work. For me this one is made up of a few different tools I can keep in my back pocket at all times. Key is a little notebook and pen which I take EVERYWHERE. The notes section on my phone gets used constantly too. Clear the admin first. Get it done so you know what you’ve got to do and you don’t have dozens of emails and other small tasks looming over you for the rest of the day. Aim for the week, or easily translated into ‘what do I need to do each day’. Writing your plan for the next day at the end of every day means that you don’t spend the first 15 minutes of your day wondering where you are and what on earth you’re meant to be doing. Sort the logistics. Hopefully you’ll know where you need to be and when, so book travel in advance, pick up your tickets before, check driving routes and put reminders in your phone or calendar for when you need to leave to get there. Make weekend plans. There is nothing worse than getting home on a Friday wondering what on earth you’re going to spend the weekend doing. Not suggesting a back-to-back schedule, but having something to look forward to especially on a Friday gives me the drive through the week. Put some time in to think about what really matters to you. The majority of our waking week is spent at work, so if it doesn’t press your buttons either change your perception, or your situation. Outside of work, find a hobby. Take a class, go to gigs or volunteer. My New Year resolution is to go to more concerts. Different strokes for different folks, each to their own, etc etc. There are so many phrases you could use for this one, but to me keeping an open approach to others keeps me calm and accepting of situations around me and means my energy is used to move forward. By remembering it’s never the situation I’m in but my reaction to it that determines the outcome is a technique I use frequently to give me a good perspective. For me, all of these are more about being happy in yourself which in turn means you deliver and thrive in all aspects of your life. Happy 2016!